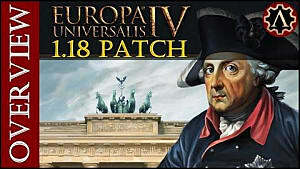 Europa Universalis IV is a fairly old game by now, having been out for more than 3 years. Yet it still has a bunch of interesting little easter eggs that are not very well known. One of those involves typing "bearhaslanded" into the console commands. Doing this will spawn the mighty bear nation of Jan Mayen. 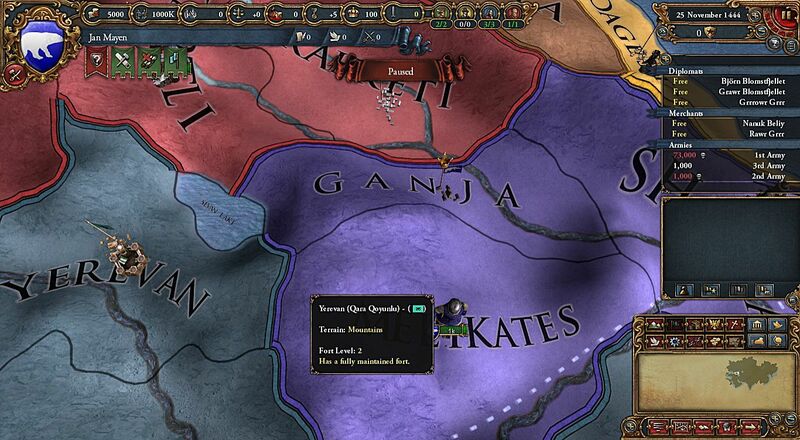 Amusingly, if you were to input the code as "bearhaslanded 420", said nation will spawn with its capital in the province of "Ganja" in modern day Azerbaijan, clearly referencing the "420 blaze it" internet meme. 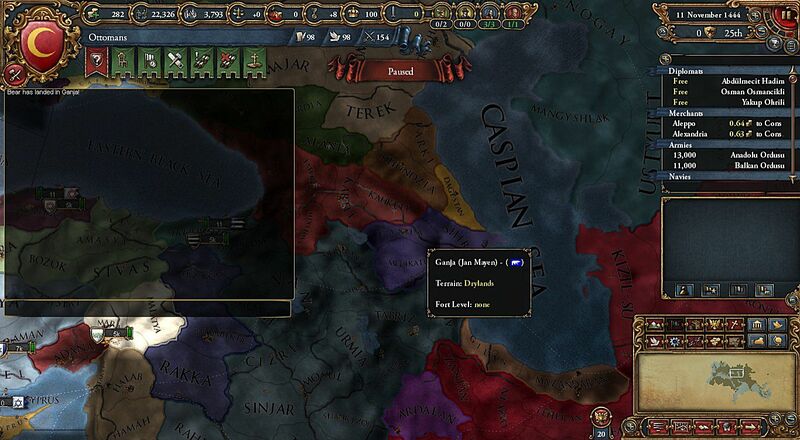 To play as the mighty bear nation, you'll have to first spawn them, then either save your game, exit, load and select Jan Mayen on the world map (if it spawned near enough for you to know it) or just input "tag JMN" to immediately relinquish command of your nation and gain the right to bear arms. 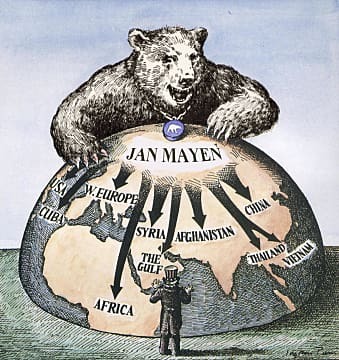 But, what is Jan Mayen? Where does this easter egg come from? Why was it implemented? First things first, Jan Mayen in real life is a pretty obscure (but definitely real) island in Norway. It is located between the Arctic and Atlantic Oceans and it is mostly uninhabited -- save for some researchers. It hardly even has polar bears on it. 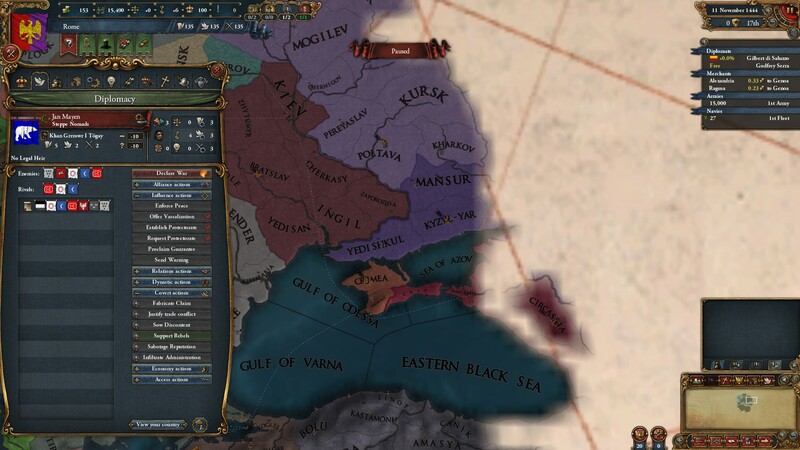 So why is it that the in-game version of Jan Mayen in Europa Universalis IV is an incredibly hilarious and overpowered nation of sapient polar bears with names the likes of "Rawrorr Rawrorrsonn" ? 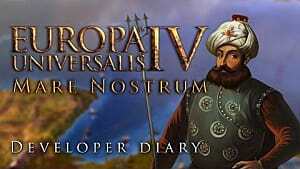 It all started back in another (lesser-known) Paradox Interactive grand strategy title, Victoria II : An Empire Under The Sun. In this game the aforementioned Jan Mayen Island featured and has an interesting story. At first Jan Mayen had an absurdly high population due to a bug (it wasn't arctic and thus it supported more people), but it was not a nation. 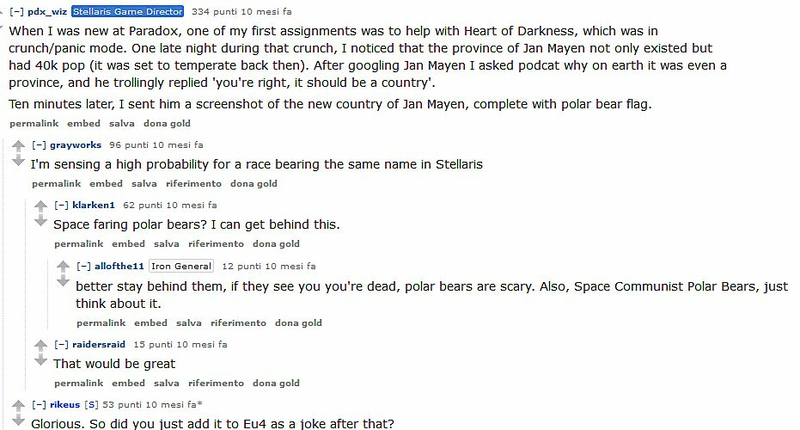 Or at least, it wasn't until a game developer -- who goes by the handle of Pdx_wiz on Reddit and happens to be the Game Director for Stellaris -- was jokingly asked by his superiors to make it into a country. 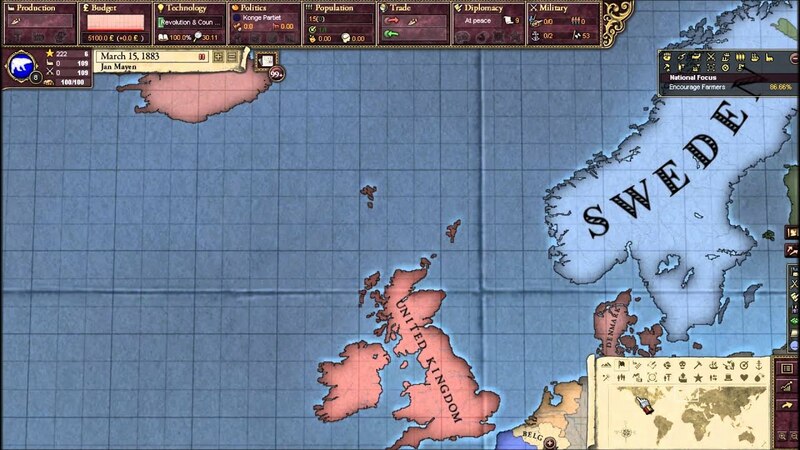 If you played as Sweden, it was possible to release both Norway and Jan Mayen as sovereign states -- the first one because at the time the game starts Norway was in a Personal Union under Sweden. 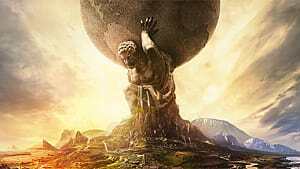 The second one, however, was just a joke from the developers, since the island was so small and had so few inhabitants (15 at most) that building a viable economic infrastructure in it was impossible. So the ability to release Jan Mayen was included as a sort of "Observation Mode" to just see what the AI would do if left to its own devices. 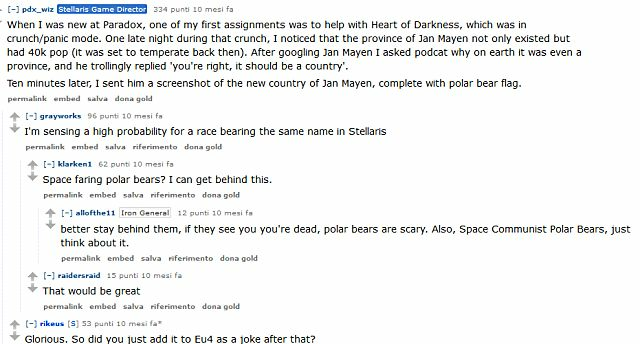 However, Paradox later added in the ability to make Jan Mayen "buy all of Denmark's polar bears" as a joke reference to the panserbjorne. 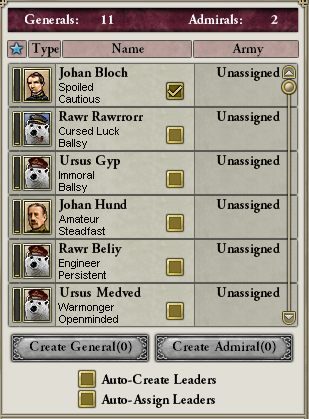 Granted, you had to make it to the top 16 to even be given the option, but in the end it gave you Iceland and Greenland and made Polar Bear the primary culture of your nation -- allowing you to have awesome bear generals and admirals and making it possible to actually compete as a world power instead of bearly survive. But it didn't allow your population to be assimilated into Polar bear culture -- a very sad fact for all of us who would have welcomed our beary overlords. 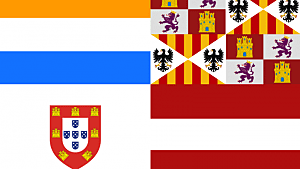 The nation was later added to Europa Universalis IV with the El Dorado expansion as one of the possible random new world nations, in order to continue the inside joke born in Victoria 2. But it wasn't until patch 1.13 that polar bears were playable in the age of exploration. 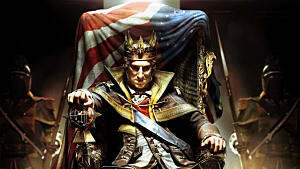 Long story short: Polar Bears are pretty cool, unless they come in and try to conquer your nation. 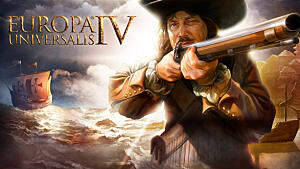 Humble Store's Paradox Interactive sale ends Monday!